Proposal No. 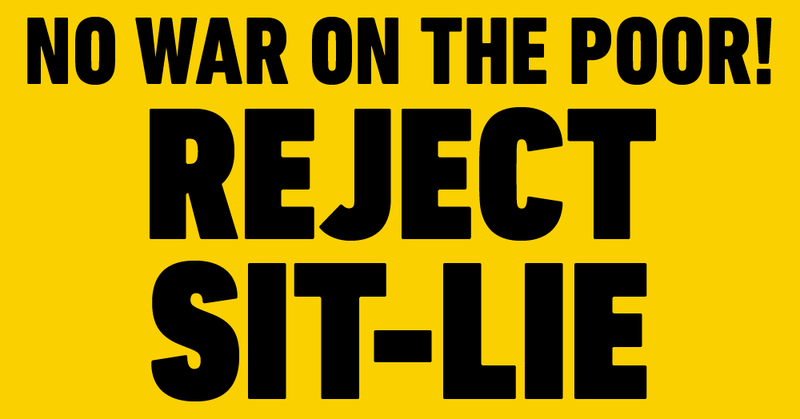 357, the “Sit-Lie” ordinance proposal from reactionary councillors McQuillen, Cordi, and Wesseler, will be heard by the Rules & Public Policy Committee of the Indianapolis City-County Council in Room 260 of the City-County Building on November 20, the Tuesday before Thanksgiving. We will fill the meeting room and demand that the committee and councillors reject the criminalization of homelessness in our city! In tandem with our efforts to confront McQuillen with the masses of people who refuse to accept this attack, we are organizing a petition to show the City-County Council that the people of Indianapolis and its visitors do not want this or any other assault on the homeless to succeed. You may include your own comments when signing the petition. Previous Previous post: Unite to stop fascism!